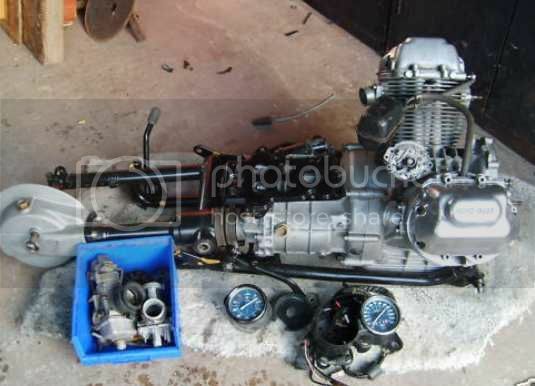 A few pics of my bike projects. 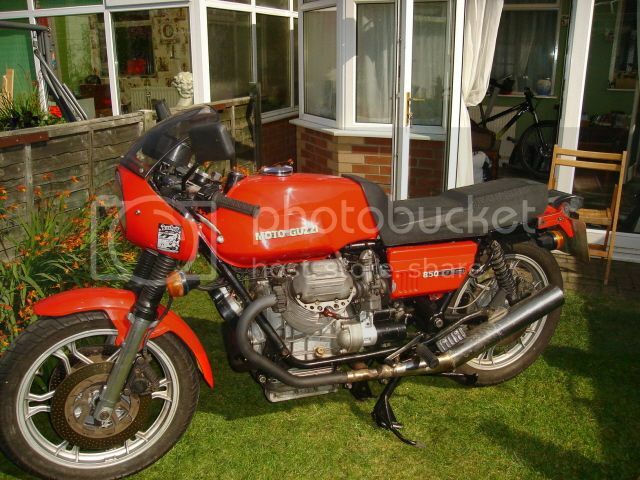 First off is a basket case Moto Guzzi Le Mans that I bought in a million bits, it looked like this when I got it. Another basket case that I resurrected, only got a pic of the final result. 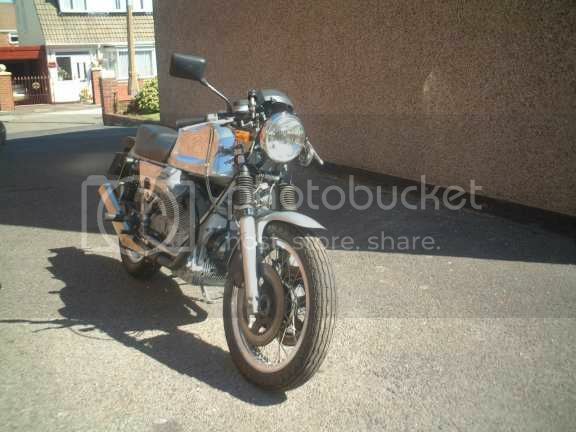 Still got his one, had it 15 years and gave it a full rebuild about 30,000 miles ago, still going like the clappers. 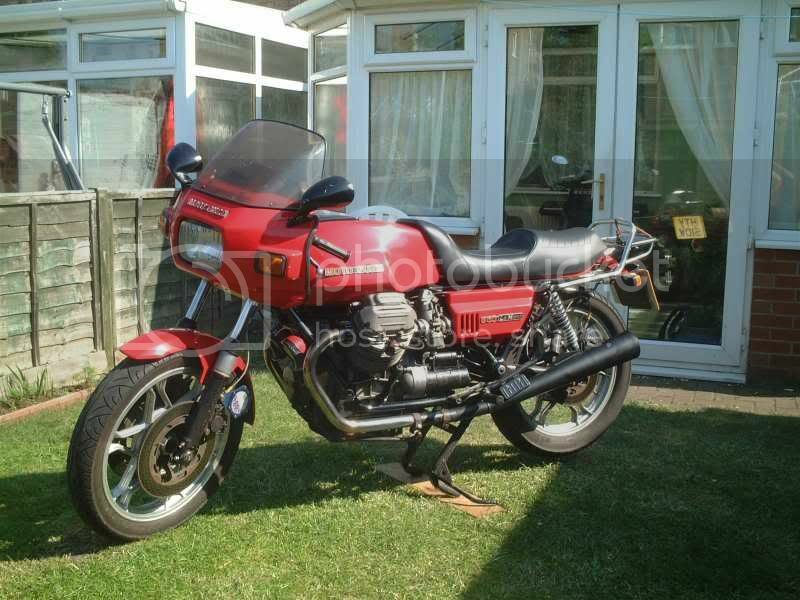 As you may have guessed, I like Moto Guzzis. Re: A few pics of my bike projects. My basket case was a 1960 Mach 1 Ducati single. It came in several boxes of crud from different sources. It is my avatar. 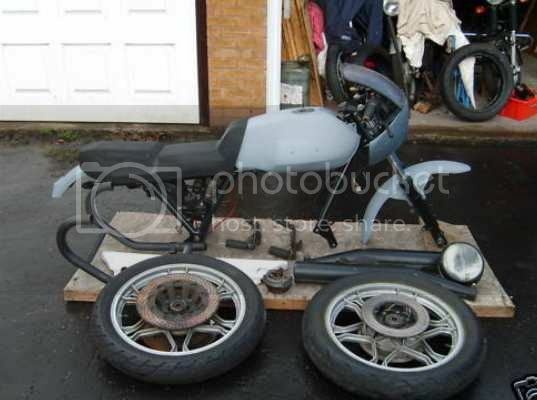 It was a great GP replica racer. What a Beauty, and how rewarding, you must be very proud. 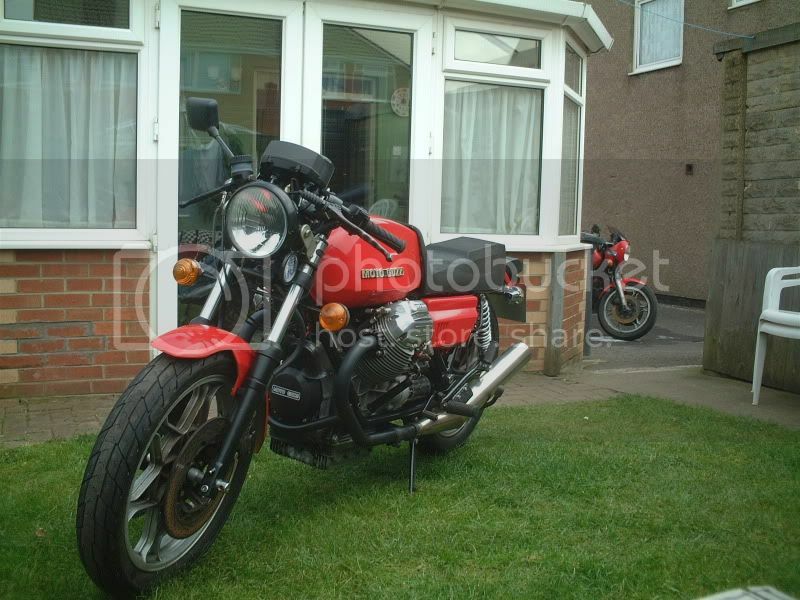 Guzzi's are nice. Something special for sure. I walk to the train station and there has been a new (I assume new as I have never seen one before) Guzzi parked on the side of the road. Will have to snap a picture of it. They've got a unique character. I borrowed a newer ( 04ish) LeMans for a day a couple years ago. Fun bike. I'm not saying I'm Batman. I'm just saying we've never been seen in the same room before.